Each block contains 15 sheets of a high quality watercolour paper with a matt surface structure in 425gsm. This paper quality is acid-free, lightfast and extremely resistant to ageing and suitable for all wet painting techniques such as watercolour, gouache, tempera and acrylic. 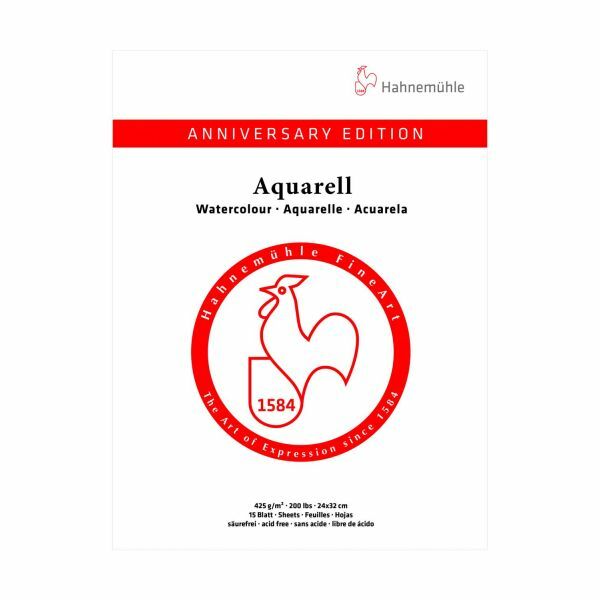 Manufactured in The German Hahnemuhle mill to celebrate their 425 years of paper making.